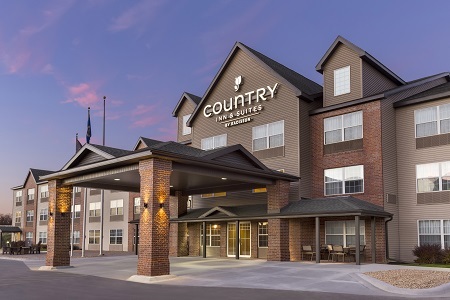 Located less than 15 minutes from the heart of downtown, the Country Inn & Suites® by Radisson, Rochester South, MN places guests close to both the Mayo Clinic and Rochester International Airport (RST). Free shuttle service to clinic appointments helps make travel stress-free, while free high-speed Internet access keeps you connected to friends and family back home. When you’re ready to explore the area, catch a concert at the Mayo Civic Center or enjoy a relaxing day of wine-tasting at Four Daughters Vineyard & Winery. Need additional space for your group? 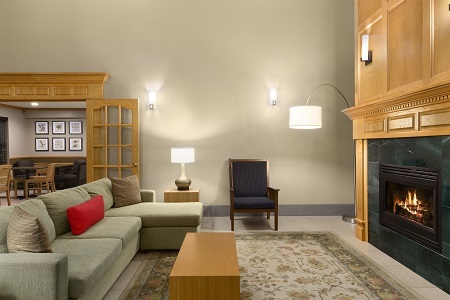 The King Suite offers all standard amenities as well as a separate living room with a sleeper sofa, a wet bar and an extra TV. 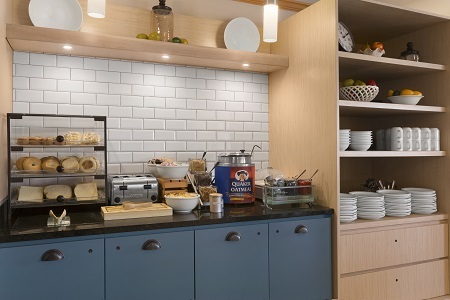 Fuel up in the morning with our complimentary, hot breakfast, which includes waffles, yogurt, fresh fruit and hot items. To treat your taste buds, walk to Whistle Binkies on the Lake, where you can find fresh pub fare and an extensive selection of craft beers or try another nearby restaurant like Thirsty Belgian. Mayo Civic Center – The Mayo Civic Center hosts events ranging from medical lectures to sophisticated galas. 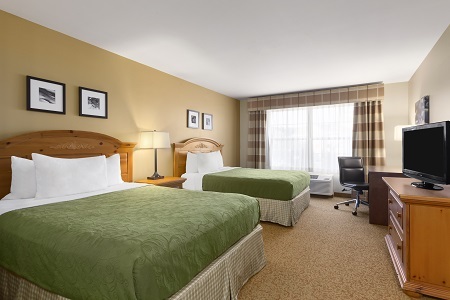 Attend a stand-up routine by your favorite comedian, an exciting indie concert or a sporting event at one of Minnesota’s largest venues, situated just over five miles from the hotel. Plummer House – Don’t miss touring this architectural gem located 11 minutes from the hotel. The former residence of an innovative Mayo Clinic physician, Plummer House now holds a collection of early 20th-century furnishings and features 11 acres of beautiful gardens. If you’re feeling adventurous, you can explore the two caves on the property. Willow Creek Golf Course – Practice your swing at Willow Creek Golf Course, just a six-minute drive away. Bring the entire family for a round on Willow Creek’s nine-hole course, perfect for beginners, or challenge yourself to the full eighteen. Want to try something new? You can play the growing sport of footgolf at the nine-hole footgolf course. Host your upcoming team meeting, interview session or family gathering for up to 35 guests in the flexible meeting space at the Country Inn & Suites in Rochester. Allow our friendly staff to create a personalized web page for your event so that your guests stay up-to-date on all of the details.